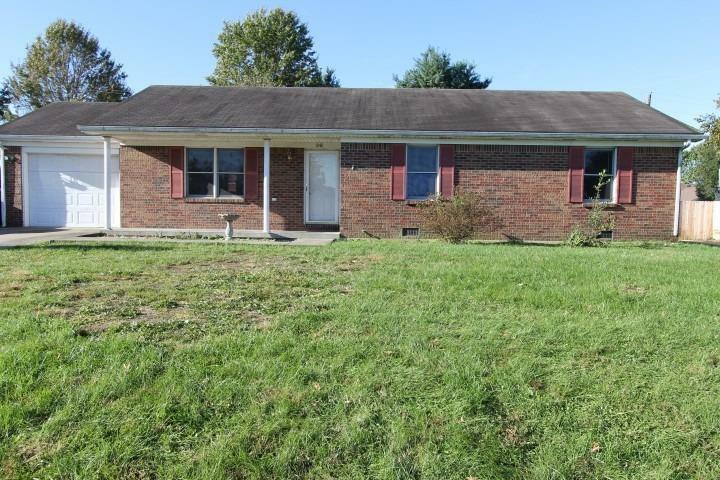 Spacious 3 Bedroom, 2 Full Bath, 1 Car Garage with a large back yard located only minutes from the Bluegrass Parkway and I-64. The kitchen is the perfect size, with a bar that has electric, and a door close by that leads to the back yard, making it easy when having a summer cookout. Take a walk out the back door and notice a large yard with a pool and storage shed! This is a home that you're not going to want to miss, so call today and schedule your showing! Seller to provide a $1, 500 paint allowance at time of closing.